Two men have been jailed for the “barbaric” torture and killing of a baby deer in a video they filmed on a mobile phone in Wales. Toby Humphreys, 22, and Jac Parry Roberts, 19, were each sentenced to eight weeks in prison at Caernarfon Magistrates’ Court on Monday. Humphreys was accused of holding down the animal, strangling it with his hands and eventually standing on its neck it tried to escape, the Daily Post reported. Roberts was seen on the recording punching it in the face and allegedly later slit the deer’s throat with a knife. Both men, from Porthmadog, pleaded guilty to killing the young roe deer on 17 August last year, in Gwynedd. The court was told that at least three other people were present during the attack and could be heard talking in the background, with one holding a light and others filming. Head magistrate Peter Lunt-Williams described the crime as “barbaric”, the BBC reported, but defence lawyers said the deer had already been injured by a dog bite. The crime was discovered when footage of it was found by police on a mobile phone seized during an unrelated search in December. 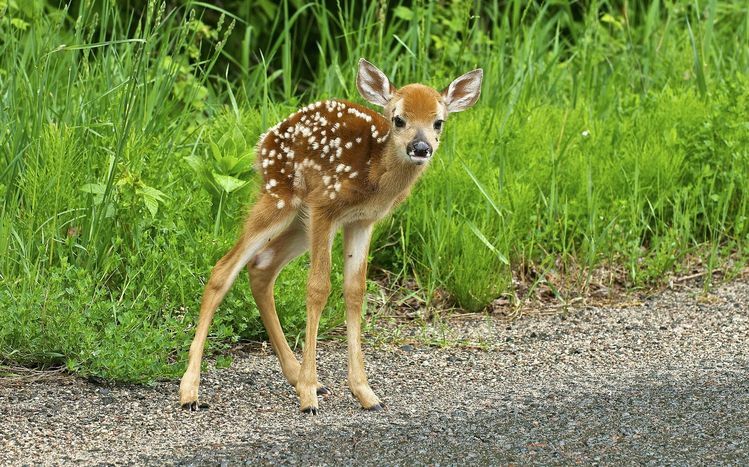 Sergeant Rob Taylor, from North Wales Police, said Monday’s sentencing was the “conclusion of a disturbing investigation involving a cruel act on a very young deer”, calling the case “very unpleasant”. “We will continue to proactively pursue those who engage in this behaviour,” he added.